Adrian Parkhouse has been at Farrer for 35 years, with 25 as a partner. 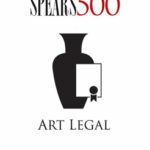 Now heading commercial litigation, he advises established art owners and national institutions (as well as new HNW collectors, many based abroad) on buying and selling, tax, import and export, and philanthropy. ‘As a litigator, the key problems I see are issues of ownership and of authenticity,’ he says. ‘Ownership is a lot less certain than people expect, the more so when items cross jurisdictional boundaries and different law may be relevant.’ One highlight was ‘the court adjourning to Kenwood House for the juxtaposition of the autograph work by Van Dyck with its later version, and the two hours of lectures by the experts on the bases for their respective views’.